Rhino who graced our party last year has been locked away in his bristol dub basement / laboratory where a slew of new equipment and fx boxes have been added to his arsenal of craziness. For those of you that were at the party last year Rhino is the mad tall welshman prone to fits of turettesesque mixing. Toothless can still be seen regularly gracing the floors of Maastrichts finest Drinking Emporiums and will be providing a selection of choice vinyls in exchange for liquid incentives! Please Note Space Is Limited Once The Venue Is Full The Doors Are Closed So Get There Early!!! For a celebration of old school to new school dub and reggae music, tracing the rhythm from its roots in reggae to its influences across contemporary dance music. Opening The Night Is Blakkahill Soundsystem outta Belgium. 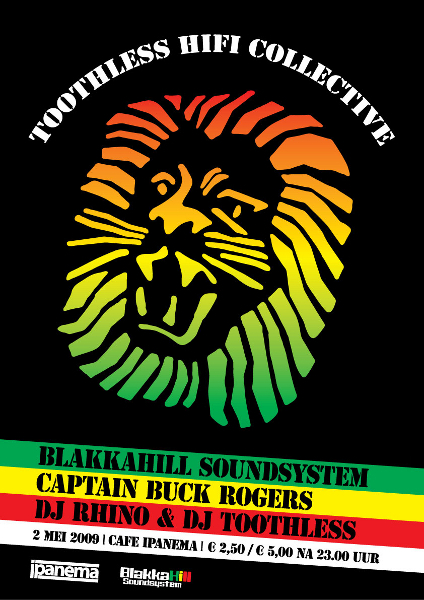 Spinning their famous blend of ska roots dub and dancehall let DJ Don Judah & Selecta Haze Nice Up Ya Dance! 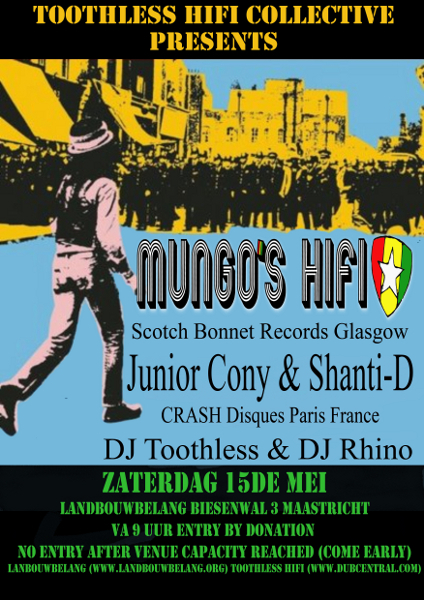 After Rhino Toothless, often seen in the bars around Maastricht will be spinning a blend of the finest dubstep and jungle for your aural delectation! To Round off the evening the DJ's will be playing "dub fe dub" for the last hour or so... Get over here and finish your Queens Day weekend in style!! !